New challenges for backup and restore operations include increasingly complex server virtualization and new security threats. There’s also the ever-present pressure from financial stakeholders to operate lean while still delivering high levels of service. In this landscape, the right backup and restore solution can make a big difference in how well the backup team can meet its commitments. The right solution will help an organization thrive in an evolving backup and restore environment. 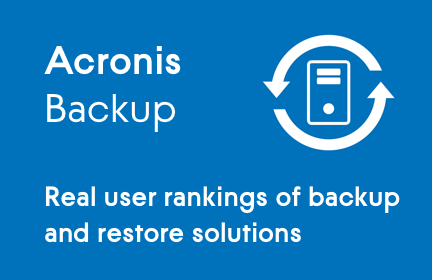 To help backup managers understand their options in the marketplace, this paper cites IT Central Station members as they discuss two popular backup and restore solutions, Acronis Backup and Arcserve UDP.